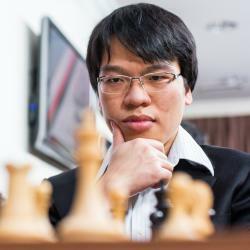 Le Quang Liem is a Vietnamese Grandmaster well known for his speed chess skills. He is best known for winning the World Blitz Chess Championship in 2013 ahead of several elite players. Liem is known to have an extremely sharp tactical eye and many notable games in that area. He has also won several open tournaments all across the globe (sometimes twice or thrice!) namely, Aeroflot open, HD Bank open, SPICE cup, Kolkata open and the World Youth Under 14 Chess Championship. He was the premier chess prodigy from Vietnam and achieved his Grandmaster title at the age of 15. Ever since he has played for the national team of Vietnam and has also been their highest ranked player for the past several years. In 2014, he joined Webster University in USA and won the President’s Cup (Chess) for the national college chess team championships as four years as a student from 2014-2017 while playing board 1 everytime.